This post originally appeared on TDWI Upside. It’s never been cooler to be an analyst. In recent years, there has been no shortage of movies and TV shows featuring number-crunching geniuses: Moneyball, The Imitation Game, Numb3rs, Person of Interest, etc. Top-notch analysts are among a company’s most valued employees. They can unearth insights with substantial impacts to the bottom line. In an Accenture report, 89 percent of companies believed that without big data analytics they risked losing market share and could not be competitive. This greater reliance upon data has created a shortage of analytics talent — and it’s going to get worse. McKinsey forecasted that by 2018, the U.S. would only have half the analysts and data scientists it needs. Could You Lose Your Analysts? With analysts in such high demand, it’s even more critical to retain these experts, yet I talk to technical leaders every week who are at risk of losing talent. Their analysts are frustrated and overwhelmed by non-stop, ad hoc reporting requests. Meanwhile, organizations aren’t getting the information they need to quickly optimize their business. I call this condition data dysfunction. Does your company have any of these warning signs? Technical analysts are stuck running the same reports over and over. A report doesn’t have to be particularly sophisticated to become tedious. It could be an update to the sales report every Monday morning or the same handful of metrics for the monthly dashboard. Becoming a cog in a machine is not what these analysts envisioned for their career. Report requests are growing because companies are stressing the need to make data-driven decisions. That expanded workload will eventually take its toll on a team that was already stretched thin. 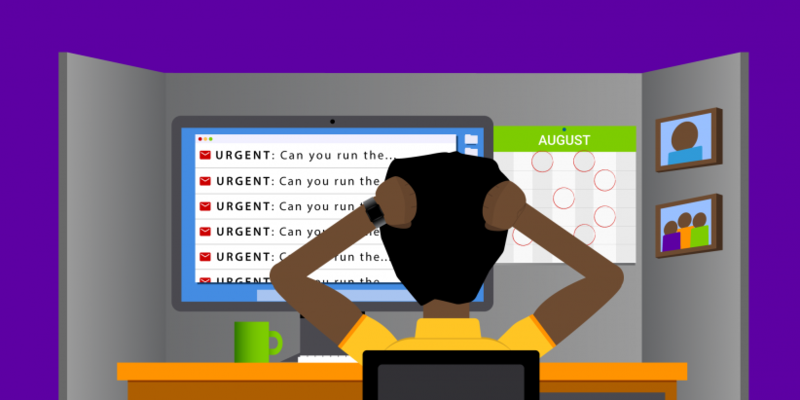 Your team is inundated with urgent requests. The only group of users who love data more than business managers is executive management. When an executive asks a marketer or sales operations employee for a metric (which is a regular request), it often results in a drop-everything task for the analytics team. The requestors may not realize the effort and late hours involved. That lack of recognition and appreciation compounds the frustration. They are likely struggling to do their job using outdated technology. According to a study by Oracle, only 44 percent of employees said their company uses the latest technology to help them effectively do their job. Significant innovations have been made in the last few years in business intelligence and data analytics. If your company doesn’t have a modern BI tool, your team members are likely struggling to perform their jobs. Analysts can’t get to the work that motivated them about their role in the first place. Your analysts would love the challenge of solving a “why” or “how” question: Why are our top customers not buying as frequently as they did last year? How do we grow our new product lines next quarter? Instead, they’re stuck answering routine “what” questions: What was the average order size by region?. Unfortunately, they’re too busy handling the lower-level requests to focus on more strategic business intelligence. Explore self-service analytics for your business users. You may have tried introducing such tools in the past, and it probably failed miserably because you started with a highly technical business intelligence tool that your analysts had mastered. Then you purchased an enterprise license so that your business users could run a few reports for themselves, but your business users didn’t have time for the training and quickly grew frustrated with the BI system’s complexity. Fortunately, there are modern solutions available that are both powerful and easy to learn. (Ours happens to use natural language and a search interface.) When such platforms are successfully implemented, business users love the ability to get analytics faster — think seconds rather than days. Analysts appreciate getting time to tackle more complex queries. Provide greater exposure to the business. Your analysts are bright folks. Don’t treat them like junior-level order takers. Help them understand what the challenges are within the business. Let them offer their own ideas about how to measure performance and identify competitive opportunities. Give them freedom to explore. Once you’ve provided the business background, give your analysts time to develop independent insights. Top performers crave autonomy and accountability in their work. By taking an R&D approach to analytics, you’re making a long-term investment in both your employees and your company. I’ve seen this solution work with a few of our customers. In one case, a customer lost their most seasoned analyst. This analyst (I’ll call him Nick) was tired of running basic queries day after day. By making some of the changes I’ve described, they were able to woo Nick back. Nick’s business counterparts now have data analytics at their fingertips, and Nick has the time to work on advanced analytics and predictive models. Nick may not be an action hero in a movie or a leading character in a TV show, but he is the analytics star of his company.